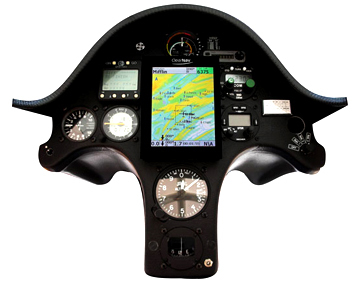 Whether flying contests, OLC flights, badge flights or just plain flying for fun, the ClearNav II Flight Computer gives you everything you need to fly safely and fast. Task management, airspace, and landability information are all clearly presented on the large, high contrast and extremely bright full VGA display. Essential flight data is clearly and logically presented on the bottom of the screen and is highly configurable. A simple and intuitive user interface make for a fast learning experience and does not require a manual or even a quickstart card if you don’t fly for a couple of weeks. Our design philosophy is focused on ease of use, and on providing the pilot with information just from glancing at the screen.